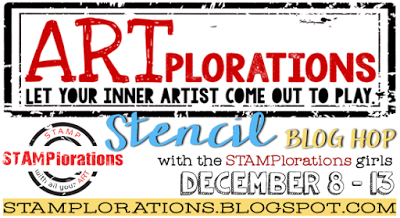 Welcome back to Day 2 of the ARTplorations stencil blog hop at STAMPlorations! Today I've got a sympathy card using the masks from Bloom Silhouettes. I sponged Distress Inks over the masks, then scribbled the outlines with a fineliner. A few blobs of Fossilised Amber for the flower centres, a sentiment (from Blossom Overture) and a scribbled corner and some splatters ;) and it's done. Perfect sympathy card. I'm totally crushin' on that partial gold mat behind your image panel. Like the scribbles and the splatter! What a lovely ;sympathy card! Your card is so whimsical. I love your creation! Very pretty. Love the color combo of paper & water color you used. So soft and pretty Shirley. 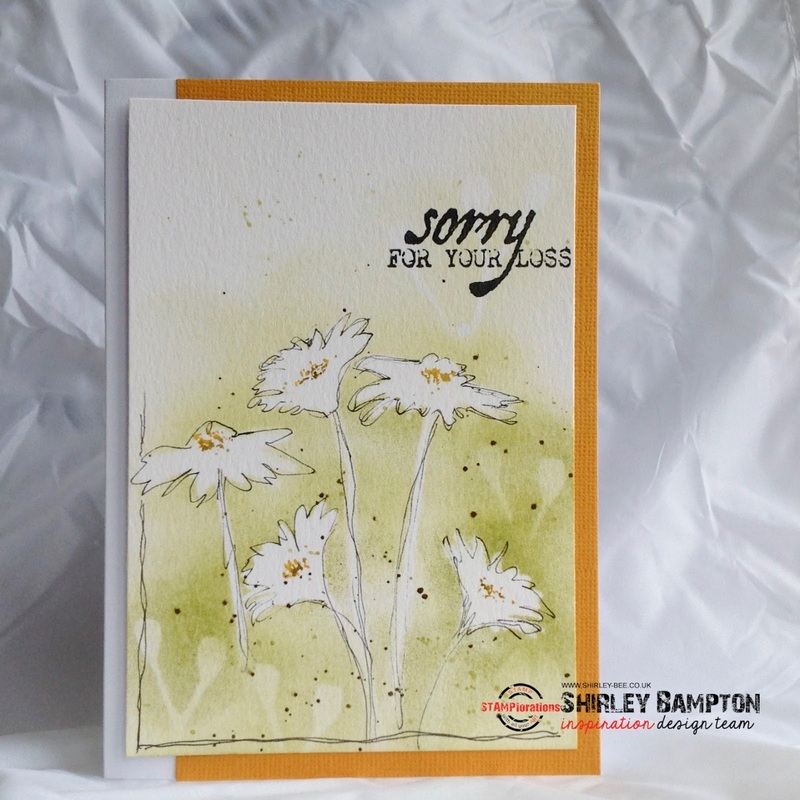 Perfect for a sympathy or thinking of you card. Love your scribbled corner and stenciled flowers. TFS my friend. This is so pretty. The images are soft, warm and soothing - a beautiful way to extend sympathy wishes to dear friends! So artsy! Love how you do these gorgeous scribbled designs, Shirley! Such a beautiful way of sending hugs! Wow... 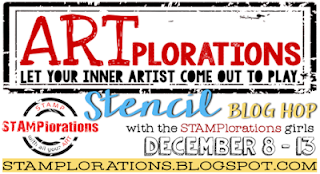 The stenciled background pop up with the drawing lines. Thank you so much for the inspiration. What a precious card.... it has to be one of the most special sympathy cards ever. LOVE. j.